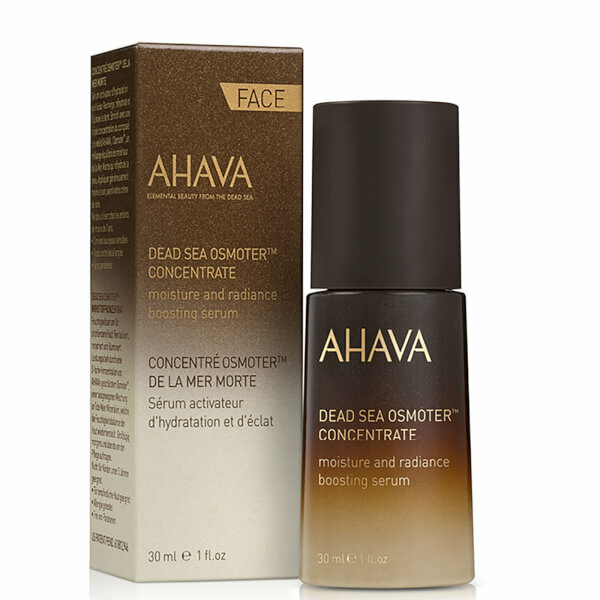 Rediscover youthful radiance with AHAVA Dead Sea Osmoter Concentrate, a supercharged facial serum that works to replenish hydration whilst counteracting signs of ageing. 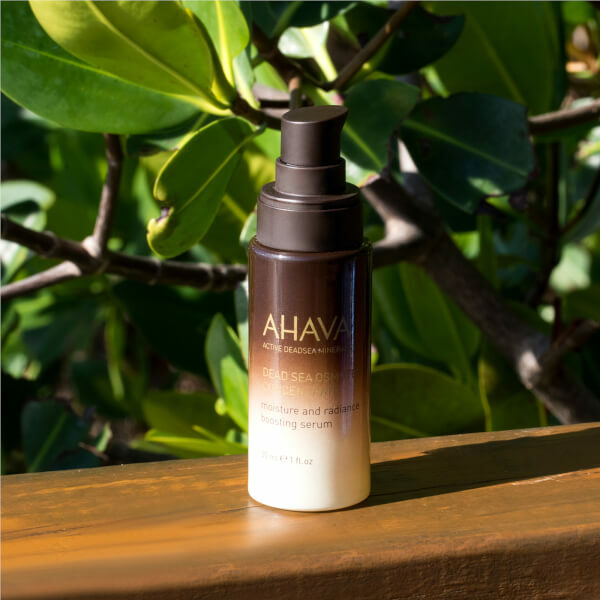 Infused with a triple concentrate of AHAVA’s proprietary Osmoter™, the serum utilises new technology to deliver 3 times the Osmoter™ to skin, promoting a moisturised and illuminated complexion. Its dose of Dead Sea minerals and skin-optimising properties expertly recharge and rehydrate skin, restoring vitality for more youthful-looking skin. Expect a clarified, radiant and moisturised complexion. Apply generously before moisturiser. Use morning and evening. Aqua (Mineral Spring Water), Cyclomethicone, Glycerin, Maris Aqua (Dead Sea Water), Aloe Barbadensis Leaf Juice, PVP, Isodecyl Isononanoate, Caprylyl Methicone, Dimethicone, Diisobutyl Adipate, Butylene Glycol, Hydroxyethyl Acrylate/Sodium Acryloyldimethyl Taurate Copolymer, Trehalose, PEG-12 Dimethicone/PPG-20 Crosspolymer, Propylene Carbonate, Quaternium-18 Hectorite, Dimethiconol, Phenoxyethanol, Biosaccharide Gum-1, Citric Acid, Rabdosia Rubescens Extract, Ascorbic Acid, Citrus Aurantium Amara (Bitter Orenge) Fruit Extract, Citrus Reticulata (Tangerine) Fruit Extract, Sigesbeckia Orientalis Extract, Lactic Acid, Sodium Lactate, Laminaria Digitata Extract, Sodium Citrate, Bisabolol, Squalene (Phytosqualene), Argania Spinosa Kernel Oil, Parfum (Fragrance), Sodium Hyaluronate, Benzotriazolyl Dodecyl p-Cresol, Helianthus Annuus (Sunflower) Seed Oil, Melissa Officinalis Leaf Extract, Polyglyceryl-3 polyricinoleate, Glucosyl Hesperidin, Fructose, Olea Europaea (Olive) Leaf Extract, Pentaerythrityl Tetra-di-t-butyl Hydroxyhydrocinnamate, Camellia Sinensis Leaf Extract, Vitis Vinifera (Grape) Seed Oil.